1. Policy Question: What would be the impact of reduced parking requirements on distribution and types of new development in different areas of the region? Typical parking requirements subsidize driving, increasing drive-alone mode shares and act as a barrier to Smart Growth. Rigid parking requirements—especially those that are high—can prevent development or incentivize development in low-density areas where land costs are cheaper. Standard uniform parking requirements disproportionately dampen urban development because of higher land values in urban areas compared with suburban locations. In residential areas, the cost of building parking is passed on to the resident, increasing housing costs for all users, regardless of car ownership. Altogether, this research can help inform how parking requirements affect the cost and location of development in the Bay Area. This information can help local governments and regional governments in developing appropriate land use and transportation policies. Local governments can benefit from this information to better understand the local land use implications of their parking policies. The regional agencies are interested in this information to help develop effective policies that provide residents with more choices in how they live and access their needs, and that support implementation of the development patterns envisioned in the regional plan, Plan Bay Area. Plan Bay Area emphasizes additional development in the larger cities and along transit corridors, particularly in priority development areas (PDAs) in part to address housing and greenhouse goals. In the long run this information and subsequent policy changes are expected to benefit residents who desire housing with less parking, through reduced costs for housing. In the abstract, we would like to analyze the economics of developments and their parking requirements throughout the region, and the size of the market for various types of housing and transportation choices. In addition, before and after data of all commercial and residential development that have implemented reduced or eliminated parking requirements, would be useful in order to focus on the real-life impact of parking requirement policies. However, timing for such types of applications is very specific; therefore, research for this question will include an analysis of research and applications as well as modeling reduced and eliminated parking requirement scenarios through UrbanSim. UrbanSim was used to estimate the impact of parking policies on future patterns of development based on demographic trends, emerging behavior patterns, real estate finances, transportation costs, etc. Cost of building parking as well as the current parking requirements was be incorporated into UrbanSim’s real-estate model; the model then simulated the cost savings to developments when parking requirements are reduced. Simulations show the affect that reductions to this cost, based on reduced requirements, would have on a developer’s choice to build. What information are we aware of that we can use to address this question? “Turning Housing into Driving: Parking Requirements and Density in Los Angeles and New York,” (Manville, Beata, and Shoup, 2013) looks at how parking requirements decrease density and increase automobile ownership. In New York City, the researchers found that for every 10% increase in minimum parking requirements, there was a 6% reduction in both population and housing density, and a 5% increase in the number of vehicles per square mile. Portland, Oregon: does not have minimum parking requirements for sites within 500 feet of a transit service with at least 20-minute peak hour service. Carmel, California: limits parking in an effort to maintain and enhance its pedestrian-focus by barring any off-street parking within the central commercial district. Table 3 below provides some examples of additional cities that have reduced or eliminated parking requirements. San Francisco, CA Eliminated minimum parking requirements; established maximum requirements. Los Angeles, CA Project-specific reduced minimum parking requirements. Palo Alto, CA Reduced minimum parking requirements for land banking (summarized below). Sacramento, CA Eliminated and reduced minimum parking requirements (summarized below). Berkeley, CA Eliminated and reduced minimum parking requirements (summarized below). Portland, OR Eliminated minimum parking requirements within 500 feet of a transit line with at least 20 minute peaks. Seattle, WA Reduced minimum parking requirements for certain types of development such as senior and multi-family housing, and developments with carsharing. Eliminated requirements in downtown. San Diego, CA Reduced minimum parking requirements for some developments. Hartford, CT Reduced minimum requirements in exchange for taking efforts to reduce demand. Centennial, CO Reduced minimum parking requirements for shared parking. Arlington County, VA Context-specific reduced minimum parking requirements. Portland, OR Established parking maximums based on availability of transit service; eliminated minimum requirements. Cincinnati, OH Reduced and eliminated parking minimum requirements in the CBD. New York, NY Eliminated minimum parking requirements for affordable units in downtown Manhattan and Brooklyn. Washington, DC Eliminated minimum parking requirements in high-density downtown areas and reduced parking requirements in transit-rich areas outside of downtown. Tacoma, WA Eliminated minimum parking requirements throughout the downtown core. Nashville, TN Eliminated minimum parking requirements within the 600-acre downtown core. This recent study of 12 TOD residential properties in Santa Clara County (2010) found that there was substantial unused parking at all of the sites, which had been built to the local parking requirements. It concludes that as such, many Santa Clara County municipalities could reduce their residential parking requirements significantly without the risk of “underparking” a TOD residential site. The estimated cost of the 2,496 unused parking spaces counted in the study for these sites represent about $37.4 million in opportunity cost. Such studies can help inform decision-makers as well as the public that areas near transit stations are often over-parked. This parking can be reduced and converted to other kinds of development projects, further supporting transit ridership. In 2012, The City of Sacramento revised their Zoning Code to bring more flexibility for parking requirements in urban areas. The City has removed all requirements in the Central Business District, has removed all requirements for projects smaller than 6,400 square feet in the Central City, and for all other areas requirements are based on the neighborhood context, access to alternative transportation modes, and existing parking supplies in the area. The reduced requirements are deemed to improve the area or there are other factors where demand will be reduced. In 2006, San Francisco eliminated parking requirements for housing in downtown commercial (C-3) zoning districts and has instead replaced these with maximum parking requirements of 1 parking space for every 4 housing units. These policies have been implemented along with car-sharing, secure bicycle parking and unbundling policies (further detailed in Policy Question #4). Successful application of these policies resulted in extending these policies—including maximum requirements and unbundled parking—to several new neighborhoods. Inclusion of parking in to housing costs raises the cost of housing. There have been a number of analyses of the impact of the inclusion of parking on housing costs. In a report by Jia and Wachs (1998), an economic analysis investigated the impact on housing affordability of code required parking in six neighborhoods in San Francisco. Using hedonic pricing it estimated that parking increased prices by about 10%. Based on the findings it recommends a rethinking of these parking code requirements so that housing is more affordable, particularly for lower income households. The study, Parking Utilization in Affordable Housing in San Diego, CA (Willson, O’Connor, and Hajjiri, 2012) looks at housing affordability and parking demand and finds that demand for parking is lower than the built supply and assessing the policies that will cause individuals to determine whether vehicle ownership is worth the cost. The study found that demand for parking in affordable housing rental units was approximately half that of market rate rental units in San Diego. Furthermore, there was a direct relationship between parking demand and income level. In several affordable and senior housing developments in San Diego, data collection showed that utilization rates were only a small proportion of the minimum requirements under code. Due to lower car ownership rates within low-income groups, parking in affordable housing developments often go unused, yet the requirements still increase the rental costs. “Parking Requirement Impacts on Housing Affordability,” (Litman, 2013) estimates that a single parking space increases the price of a housing unit by 12.5%. Demand can be influenced by household income, tenure, household size, population density and alternative transportation, as well as pricing policies. Despite lower demand in many areas with more transit options and lower-income populations, parking requirements are typically set at the same rate for all housing. “Parking Requirements and Housing Affordability” (Jia and Wachs, 1999) looks at reduced parking requirements in downtown L.A. This study finds that with reduced requirements, developers provide more housing overall as well as a variety of housing for different types of household sizes and incomes. It also finds that developers will provide housing specifically marketed towards non-drivers. Rather than an in-lieu fee, Aspen Colorado allowed the developers of residential units in the new Visitor’s Center to contribute funds to carsharing. The City of Seattle has modified its Land Use Code to allow required residential spaces to be dedicated for car-sharing use. Austin, Texas has modified its code to allow parking reductions for multi-family developments that participate in car-sharing within the University Neighborhood Overlay district. The City of Vancouver in Canada allows a single car-sharing space to substitute for up to three required parking spaces within multi-family buildings of 30 units or more. Additionally, some developments have started offering a portion of their units without parking and at a lower cost. “Moda,” a condo development in downtown Seattle, offered lower-priced units for 83 of the 251 units that do not provide parking. The demand was so high for units without parking that they sold out in less than a week. Similarly, The Civic in Portland, OR offered 25 lower-cost units without parking. Parking requirements are sometimes reduced on a case-by-case basis, but few cities have policies written into their code. Requiring flexible parking requirements, reduced parking requirements for development near transit, or setting regional parking requirement maximums would allow regional agencies to manage parking supply by having an indirect effect on the price of development due to parking. The Right Size Parking Calculator is a tool to help determine how much residential parking is required for new developments, with demand factors that are specific to the King County region. The motivation behind the Right Size Parking Project was the understanding that parking is often oversupplied due to minimum parking requirements and the methods of estimating parking needs that are based on suburban vehicle ownership rates do not apply well to the area. The project found that residences in the area built an average of 1.4 spaces per dwelling unit, despite only needing approximately 1 space per dwelling unit. This is a large and wasteful cost to developers; it also represents a barrier towards Smart Growth and TOD principles. Therefore, the calculator is a tool to help inform context-specific parking demand, rather than relying on demand information that may not be relevant to the King County area. 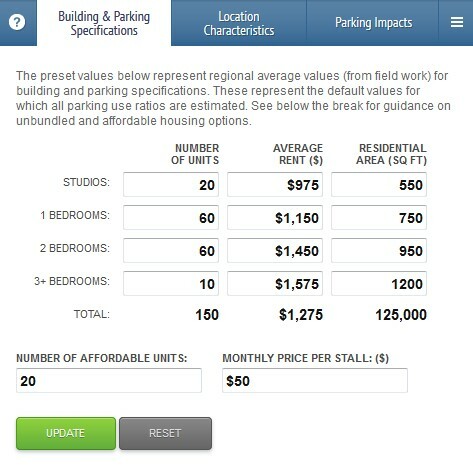 The Right Size Calculator works to estimate the number of parking spaces per residential unit (parking/unit ratio) for specific new developments and location characteristics. Therefore, the “right size” number of parking spaces per unit depends on the characteristics of the location and specifics of the development—such as the price of the development, location of jobs, transit access. The model also outputs estimated “parking impacts,” providing average construction costs, vehicle miles traveled, and greenhouse gas emissions that the amount of parking will provide (Figure 3). Last, the model outputs estimates for trip generation reduction based on commute distance and journey to work mode split, data gathered from the U.S. Census. There is an existing UrbanSim implementation in the Bay Area, which was developed for the 2014 Bay Area regional plan – Plan Bay Area – and associated Environmental Impact Report. For the existing implementation, the necessary parcel, building, household, and employment data are already available. Existing model specifications for residential and non-residential prices, as well as household and employment location choice models are also available. As the next Regional Transportation Plan (RTP) for the Bay Area is due in 2017, and UrbanSim is slated be a key component in testing alternative land use scenarios for the new plan, these model configurations are still subject to change for the next policy implementation. Parking requirements are defined for either residential, industrial, office, or retail building types. Parking requirements are per unit for residential uses and per 1000 square feet for non-residential uses. Current parking requirement assumptions for the “no project” scenario are specified based on parking requirement data for 51 cities within the Bay Area. Using the data from these 51 cities, the mean upper-minimum parking requirements for each land use type are used to create a reasonable default to represent regional average parking requirements (with the exception of San Francisco, where requirements are set lower). These averages are rounded to the nearest 0.5 spaces. Therefore, region-wide parking requirements are 3.0 spaces per residential unit (for San Francisco 1.0 spaces per residential unit); 4.5 spaces per 1,000 square feet of retail space; and 4.0 spaces per 1,000 square feet of office space. With these assumptions, parking requirements will vary by building type but not by jurisdiction (with the exception of the City of San Francisco, where parking requirements were specific to the City). If data on minimum parking requirements improves in the future, parking requirements can be specific to jurisdictions or even within jurisdictions, as the UrbanSim simulation is entirely parcel-based (with residential unit level representation also available). For now, data collection is insufficient to claim parcel-level understanding of parking requirements throughout the Bay Area. Setting the parking requirements to reasonable defaults means the assumptions can be simply and transparently communicated, and eliminates any bias that might exist to the locations for which we do know the actual parking requirements. The assumptions specified by building type and density were applied to all proposed developments in the region. The modeling process includes a baseline “no project” simulation for comparison. The second scenario will reduce parking requirements by half within TPAs, and for the third scenario parking requirements will be reduced to zero. TPAs are used as the basic geography for reduction of parking requirements, as a reasonable assumption is that parking requirements cannot be reduced without meeting transportation demand with some other mode, most likely transit and non-motorized modes in the dense built environments around transit hubs. The relative amount of growth within areas where minimum parking requirements were reduced in TPAs was calculated in order to interpret the impact of change in minimum parking requirements in the simulations. The results of the scenarios are summarized by a metric representing the percentage of residential and non-residential growth in built space inside and outside of TPAs in the next 15 years. In other words, given that population and job growth is assumed to be constant across scenarios, the number of net residential units and net job spaces is roughly constant across scenarios as well. The simple metric of how much of that growth falls within TPAs for each of the three scenarios is a first estimate at the global impact of the reduction in parking on changes on the built environment. These simple summaries are provided below in Table 4. The baseline model predicts that 73.2 percent of residential growth and 60.0 percent of non-residential growth will occur in TPAs throughout the nine-county San Francisco Bay Area region. When parking requirements are reduced by one-half, the amount of residential growth within the TPAs increases by 3.0 percent; non-residential growth within the TPAs increases by 5.2 percent. Similarly, when requirements are completely eliminated, both residential and non-residential growth within the TPAs increase by 4.8 percent and 6.7 percent, respectively. The reduction in built space due to reducing requirements by one-half has an incrementally larger impact relative to eliminating parking requirements, suggesting there might be a small nonlinear effect on the reduction in parking. Note: increase in TPA is a raw percentage increase relative to Scenario 1 (baseline). As with most regional simulations, the accuracy of data is the largest potential limitation of the study. It is definite to collect accurate data for an entire metropolitan region, though this analysis does use the latest and most accurate data available to the regional government and is the same model applied for regional EIR. In addition, as already discussed, the data on parking requirements is only available for about half of the Bay Area jurisdictions and none of this data involves information at a parcel-scale zoning level. As such, the scenarios described in this document are assumption-driven using reasonable assumptions for current conditions and potential reductions in parking requirements. Although the results of the simulations will not be parcel-accurate, the results are applicable to policy-oriented debates currently taking place in the Bay Area. Additionally, there are a few assumptions that are made in the real estate model that should be acknowledged. For instance, specifications that are developed in actual real estate markets, such as residential unit types (1 bedroom, 2 bedroom, and 3 bedroom) and factors of building design including earthquake zones, high slopes, etc. are not represented. Nonetheless, it is thought that the UrbanSim real estate model is a best practices model of residential development and sufficient for the analysis described in this document. A major limitation to the analysis with Bay Area UrbanSim stems from the difficulty in simulating user demand for less parking or no parking as well as the value of a parking space for different market segments. For now, an assumption that the amount of parking that will be built is equivalent to the parking requirements is used. It is clear that even in the case of no parking requirements, some amount of parking will be built nevertheless because of market demand. At this time, quality empirical data on how many people will pay for parking and how much they would pay in various situations is not available. There are many complexities to where development occurs, and a great deal of variation in conditions in the region. It can be very difficult to isolate the impact of parking requirements. The particular analyses using the modeling tools UrbanSim is cutting edge research and, as such, has not been done previously. The development of this model and the data input allows us to quickly generalize findings to a large area; however, results are not meant to be interpreted on smaller scales or for detailed assessments. Analyzing differences between cities with various parking policies is helpful for a qualitative review of how policies are used by cities. However, there are a variety of factors that influence the characteristics of each city and location, so while this information will be collected, correlations between key indicators and parking demand does not equate to causation. Private parking is often hard to capture in data collection due to lots that are not directly visible from the street and only accessible via private property. This could hinder data collection to understand discrepancies between actual parking inventory and the parking requirements. Analysis is based on generalized parking requirement information for the region. One challenge with this information—minimum parking requirements—is that the requirements do not always correspond with what is actually built. Therefore, general region-wide requirements were estimated for all jurisdictions within the Bay Area. For example, development may have been built before the requirements; received special permission to build lower amounts; or built in excess of required amounts. 2. Policy Question: How much demand exists for housing with lower amounts of parking? At what prices and in which areas? Building excess parking for residential uses increases the total cost of a development, which is then passed on to the resident. If the resident doesn’t use all of the parking, this construction is wasted, when the cost of the housing could have been lower or funds could have been applied to other amenities with more demand. In areas with alternative options for traveling—including public transit, walking, biking and carsharing—an increasing number of households are opting out of vehicle ownership and/or deciding to reduce the number of vehicles they own and increase the use of active modes, sharing and carpooling. However, excess free parking dis-incentivizes these decisions, and increases the cost of housing. The regional agencies (MTC, ABAG) have goals for adequate levels of housing for low income households. In addition, they have goals to reduce the production of greenhouse gasses. To the extent that there is demand for lower cost housing with less parking, both goals can be addressed. MTC has some resources to put toward the development of low cost housing, such as through the Bay Area Transit-Oriented Affordable Housing Fund (TOAH), but these resources are very limited and would best be focused where there is high demand. If there is more demand for housing with lower amounts of parking, new developments by the private sector could reduce rental and home purchase costs – if the local jurisdictions will allow it. In the abstract, we would like to know how the availability and cost of parking affects a person’s housing choice. If parking cost is separated from rent, will that affect the demand for a particular housing development? If parking cost is included in rent, how does that affect demand for the development? Is there any difference in demand based upon geographic location or proximity to transit? One way to get at this information would be survey-based, asking individuals how much they would pay for a parking space if it were not included in their housing costs. This information could be compared to the amount that each parking space increases the cost of the development. Because parking costs would be set by the private market rather than parking requirements, studying unbundled parking could also be used to address this question. However, because this project will aim to maximize supply and occupancy data across the San Francisco Bay Area, over additional data collection, a survey method will not be used. This question is answered with a combination of background research and data analysis. Household auto ownership rates by location and income level can be analyzed spatially (GIS) to visualize information about demand within the region. Collaboration with TransFORM, a local non-profit currently collecting inventory and occupancy data from multi-family residential buildings, allows us to analyze parking supply, prices and usage for many residential buildings. A 2010 publication by MTC, “Choosing Where We Live,” evaluated the preferences of over 900 households seeking new homes in the Bay Area, using market research techniques to estimate demand for various types of housing. This effort found that approximately one third of the households were quite interested in living in transit oriented development; this group had low auto ownership and high interest in other neighborhood attributes, such as transit, affordable housing, and places to walk. Another third of the households might be interested in transit oriented development if it had the right amenities for them. The report describes the actions that local governments can partake to make their communities more attractive to these market segments. The market demand outstrips the supply for this type of housing/neighborhood, as seen when comparing these preferences to new development patterns and further evidenced by the high prices for living in walkable neighborhoods in San Francisco, as well as in smaller and other lively urban centers. This highlights the potential to revitalize urban areas, reduce greenhouse gasses and reduce traffic congestion by allowing for the construction of this type of housing. Research has pointed to recent trends in automobile usage for Millennials that could make significant impacts to parking demand in the near future. The percentage of young people with driver’s licenses has been decreasing in recent years. In 2011, the percentage of 16-to-24 year olds was lowest than it had been since 1963 (at 67%). Vehicle-miles traveled per capita have decreased for Americans as a whole since 2004; “Millennials” or “Generation Y” (age 16-34) are driving significantly less, due to shorter overall trips as well as fewer auto trips per person (National Household Travel Survey, 2011). At the same time, alternative transportation use for 16-to-24 year olds has increased. Looking at trends from 2001 to 2009, research by the Frontier Group (2012), finds that biking for this age group increased 24%, walking increased 16%, and public transit increased by 40%. “Parking Demand and Zoning Requirements for Suburban Multifamily Housing” (Willson and Roberts, 2010) compares three methods of assessing parking demand in suburban residential areas—(1) field counts, (2) household surveys, and (3) vehicle availability from the U.S. Census American Community Survey (ACS). The study finds that ACS method was similar to the other two and that minimum parking requirements significantly exceed all three measures of demand. This research supports using a simple method to more accurately assess parking demand needs to set requirements at local levels. A panel of parking experts—including Donald Shoup, Elizabeth Deakin, Todd Litman, and Meea Kang—were interviewed and asked to give their experiences relating to this policy question. Expert panelist Meea Kang spoke specifically about residential parking demand (including reduced requirements and unbundling policies), as presented below. A detailed review of all expert panel discussions can be found in Appendix B. As a statewide developer of affordable housing in infill areas around transit for families, the workforce, special needs, seniors and mixed-use projects, I can tell you we are at a pinnacle of lack of affordability of housing in California. It seems as though we in California, and almost everywhere in the U.S., actually care more about free parking for cars than housing for people. I have never met a plan I have not had to change because there is not flexibility in the parking standards. We think in a “one size fits all” mentality. Zoning plans are additive. If we want walkable communities that prioritize the pedestrian, we need to rethink parking standards. For every single project I have done in California, I have had to reduce the parking requirements because they do not fit and they are so excessive – especially for the infill populations we are building to accommodate. Our codes today also do not recognize the different modes of transportation now available – transit-oriented developments, Uber, Lyft, carsharing, and bicycling. People are moving away from cars and our codes need flexibility to address that fact. Why is it difficult to change? Because the constituents are controlling the dialogue and the NIMBY’s do not want new developments, which they believe, will affect their ability to find parking. Therefore, we tell new developers they must fix all of the problems of the past and provide more off-street parking. Why? Because everybody’s concern is spillover parking into residential areas. One of the challenges in the Bay Area is the missing middle – that housing group in between the very affordable housing and the super high-end housing. That leaves the middle to the suburbs (i.e. Tracy, Brentwood, etc). How are we going to start using our existing downtown areas? Eliminate parking requirements because not everyone owns a car anymore. We are seeing a shift in vehicle ownership. San Francisco is now at 0.59 cars per person and Los Angeles has a 0.54 per capita car ownership rate. That is less than a car per each person. Yet we still have cities that require off-street parking requirements that force developers to ask Planning Commissions to reduce the parking requirement. 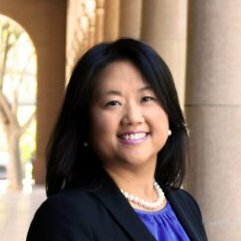 Due to these experiences, I am working on statewide parking reform through the legislature with AB 744 (Chau). We have failed twice before because jurisdictions want to have local control over their area. Every jurisdiction wants to have their own parking variances to accommodate their populations. However, we need to look at this as a statewide and regional issue and consider that housing affordability is a statewide problem. For special needs or senior housing that is 100% affordable, regardless of location, parking requirements could be eliminated. For special needs housing the average median income is $11,600 per individual. For a senior housing regular tax credit project, the average income is $21,000/annually. For a family of three housing project the average income is $23,000/annually. Car ownership averages $10,000/annually. We need to shift our perspective to create a vision of a sustainable California, as under AB 32 and SB 375 and the great work that MTC and ABAG are doing by projecting a vision of how we can move there. If we eliminate minimum parking requirements, we can start to move that needle. We need to project a vision of how we can move there and start to build more housing for people rather than build more free parking for cars. The demographics we are building homes for would like the option of not having to own a car and use that $10,000 annual cost on other necessities. We need to consider these facts when requiring developers to provide off-street parking. TransForm, a non-profit based out of Oakland, California, aims to build movement to transform communities and transportation. TransForm’s GreenTRIP Parking Database has collected data from 68 multi-family residential sites (as of March, 2015). Data was collected during the middle of the night (approximately midnight to 5am) in order to understand residential parking demand. Table 5 below gives an overview of occupancy findings from the 68 sites. Data analysis showed that for every additional required parking space per unit, there are 40 more unused spaces, or 9% more unused parking per residence. Demand stays relatively constant regardless of the size of the complex (a .05% reduction in demand for every 100 additional units). However, because bigger residential buildings provide more overall parking, the number of unused spaces increases significantly for larger buildings. For every increase in 100 residential units, there is a 26-space increase in unused parking spaces. This shows that parking should not be provided on a linear scale; more units means more potential for shared and unbundled parking. Overall, residences with unbundled parking provided 0.21 fewer spaces per unit, but overall occupancy of parking spaces was 4% less than units that bundled parking costs with rent costs. On average, units with unbundled parking had 0.62 occupied spaces per unit; because unbundled residences provided less parking per unit on average, there was an 68% overall occupancy. Units with parking bundled with rent had 0.76 occupied spaces per unit and 72% overall occupancy. However, only seven (7) of the 69 buildings unbundled parking, so the overall sample size is small. Twenty-nine residential sites provided less than one parking space per housing unit, while 39 sites provided at least one parking space per housing unit. Even the residences with lower parking provided (less than one space per unit) only had a 75% occupancy of facilities. This was higher than residences with at least one parking space per unit provided—which had a 68% occupancy. Each residential site within the TransForm dataset was characterized by a place type: Urban Neighborhood, Transit Town Center, Regional Center, Mixed-Use Corridor, and City Center. There are varying averages of availability per unit, and the utilization by percent typically decreases with decreasing availability per unit. However, for the transit town center land use (5 sites), the percent of unoccupied spaces is one of the highest, at 35%, despite an average availability per unit of 0.85 spaces. While it appears from market research and analysis of building trends that there is more demand for housing with lower levels of parking than is currently available, the limited supply of such housing makes it difficult to fully assess the size of the market. Additionally, attitudes towards vehicle ownership are changing quickly and are likely to change more in the next several years, as vehicle ownership trends are shifting. An additional challenge with the analysis for this question is the availability of data on parking requirements, supply, and demand. A very high number of TransForm residential sites are affordable housing sites, leading to lower parking requirements as well as a non-representative level of demand. 3. Policy Question: What would be the impact of unbundling parking from rents on residential demand in urban areas, and how would it alter demand vis-à-vis less urban areas? What would be the transportation, environmental and financial impacts of a charge placed on parking spaces? The purpose of this question is to evaluate the potential for a policy that would increase the affordability of housing for low-income residents or for those who chose to not own a vehicle or own fewer vehicles compared to the minimum parking requirements. Because unbundled parking creates a separation between housing costs and the cost of parking, it allows residents to choose the number of parking spaces they wish to use and pay accordingly. Additionally, if residents decide to forego car ownership, or reduce their personal vehicle ownership, they can also save money by giving up their parking space. This incentivizes households to live car-free, or give up their first or second vehicle. This question is intended to provide regional agencies with a sense of the impact of parking on development patterns, as a background for considering any regional parking policies. It is also intended to provide information for local jurisdictions in considering the potential impacts of local parking policies. In the abstract, we would like to know where people would choose to live under various situations of parking supply and prices for housing and parking. Additionally, we would like to know how vehicle ownership decisions may change when the true costs of parking are more transparent and offered as a housing option rather than requirement. However, because this information is not easily gained, we will review best practice research and review the findings of unbundling applications as well as lessons learned from the experience of parking experts. Parking spaces are not included in the base rent/purchase cost, and are rented by the tenant/owner separately. Landlords/condo associations can provide a discount to renters/owners who do not want to use the standard number of parking spaces. Landlords/condo associations can create a secondary market for parking by renting unused spaces out as a separate commodity. Unbundling can be used as a municipal code tool that allows developers to reduce the amount of parking they are required to provide. Facing extreme crowding of city streets with cars from local residents, and a robust transit system heavily used to commute to jobs in New York City, the City of Hoboken, New Jersey developed a program to encourage residents to forego their residential parking permits. Residents giving up their residential permits are provided a combination of discounted carshare usage, bicycle amenity discounts and a local bicycle map, temporary parking placards, discounted gym membership, and a discount on athletic apparel. Key to the program success has been the Corner Car program, which provides free carshare membership and is available within a 5 minute walk to more than 90 percent of city residents. Participation is on an annual basis, allowing for changes as needs change. Arlington County, VA Transit-Oriented Development (TOD) corridor has taken several steps to manage and reduce parking demand. The Market Common development in the City of Clarendon has taken advantage of both reduced minimums through shared parking as well as unbundling parking costs from rents. The unbundled parking is $25/month for the first vehicle per unit, $75/month for the second, and $100/month for the third. Studies of parking use show that even at peak demand, parking facilities are less than 80% occupied. Downtown Bellevue, WA (located in the greater Seattle region) has implemented an unbundled parking policy by requiring multi-family residences to charge parking costs separate from rents in addition to establishing maximum parking requirements. The results of these policies have been a drive-alone commute rate decrease of 30% (some studies report higher rates). In addition to multi-family residences, office buildings in downtown are also required to unbundle parking costs from the costs to lease space. This policy makes it easier for employers to implement cash-out policies and incentivizes shared parking policies. The Gaia Building in Downtown Berkeley has unbundled parking, separating rents from a monthly parking price of $150/space. When the apartment first opened, the apartment had 237 residents and 91 units, yet demand exists for only 20 spaces despite 42 available spaces (some spaces used for carsharing). Dudley Village in Dorchester, MA: In Massachusetts, the 2006 TOD Bond Program gave $2 million for Dudley Village (a mixed-use affordable housing development) in Dorchester, MA. The development has unbundled parking with only 0.7 parking spaces per unit. A panel of parking experts—including Donald Shoup, Elizabeth Deakin, Todd Litman, and Meea Kang—were interviewed and asked to give their experiences relating to this policy question. Expert panelist Todd Litman spoke specifically about unbundled parking, presented below. A detailed review of all expert panel discussions can be found in Appendix B.This panel discussed how efficient pricing of parking is the second best way to achieve your congestion reduction by charging efficiently for roads. A city by definition is an area within a limited space and optimal density for vehicles is just as important to consider as the optimal density of people. The panel agreed that we need to redefine the problem by saying the average person is going to be better off with efficient parking management; we need to educate people to the fact that no parking is ever free – you pay for it either directly or indirectly; we also need to communicate the fact that underpriced parking is as economically inefficient and unfair as overpriced parking. The most fundamental principle of good planning is that individual short-term decisions should be consistent with and support your long-term strategic goals. Our goals include climate change emissions reduction, but also reduction in congestion and traffic incidents and social inequity. The challenge we have is about communication. Most people have never purchased a parking space as a separate item. Parking is included with the house we buy, included in the taxes we pay, included with our employment, included in the price of the item we buy from a store. Most people do not understand the true cost of a parking space. Most structured parking spaces cost more than the vehicle that occupies them and that is the message we need to communicate. We can communicate this easily by explaining that it is more rational to give away cars and charge the true cost of the parking space, than to charge for the car and give away the parking spaces. We need to turn this information into a positive statement – by charging directly for parking rather than having the cost of parking borne indirectly we are offering consumers a new way to save money that currently does not exist. The best example is unbundling parking. Are you better off paying $1,000/month for an apartment with a parking space or $900/month for an apartment and $100/month for a parking space that you actually use? Which makes people better off? The unbundled parking with the option to choose does. These are new opportunities to save money – unbundled parking or parking cash-out programs.When it comes to supply parking, unbundling will let us use basic economic/market theory – where parking demand is defined at relative to the cost of providing that parking space. If consumers are willing to pay the real cost of that parking space, then they should get it. 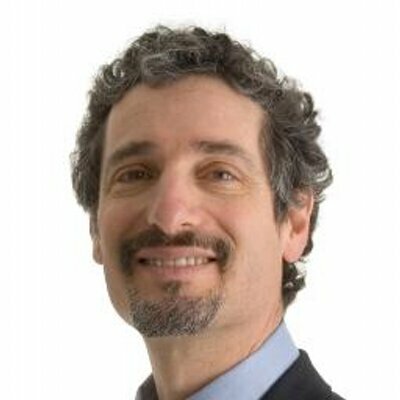 However, it does turn out that actual demand goes down 20% or more when you actually price the space at its true cost.Todd Litman, from the Victoria Transport Policy Institute, suggested applying these strategies to residential parking. One detail that often gets over-looked is that our residential zoning codes require off-street parking spaces. Every time we build an off-street parking space, we install a driveway and every driveway displaces one on-street parking space. The primary mechanism we use to provide parking spaces gives you almost zero net increase in parking supply for single –family housing in urban areas. It actually reduces our parking supply because the on-street space can be shared by others on the street. Almost everyone would be better off if instead of zoning codes requiring generous off-street parking, we simply managed the on-street parking more efficiently in residential areas. While unbundling parking has been considered a best practice for several years now, City-wide applications are limited. Unbundling typically is implemented during the planning of a new residential development, therefore, before and after data collection is not possible and projects must rely on comparable project data, if available.There is a lot of potential to simulate the effects of unbundled parking with the regional land use and transportation model, UrbanSim. However, the capabilities of the UrbanSim model are still being tested as the development of the program progresses. Currently, the data availability in UrbanSim is not robust enough to model this question accurately.Potential Policy ActionsPotential policy actions include requiring the reduction or elimination of local minimum parking requirements in Transit Priority Areas (TPAs) or Priority Development Areas (PDAs) as a condition for regional funding. Another potential regional policy is to require the adoption of a parking policy that includes key smart parking strategies for eligibility for OBAG2. In the local arena, policies that reduce parking requirements and support new development in high density areas should be evaluated by local agencies.There are several parking policy actions that can be implemented to supply residential demand for households that would prefer to live in more transit-oriented areas and avoid or reduce their vehicle ownership. Policies that provide funding for subsidized carshare in locations that provide some housing without parking or with very low parking requirements. Additionally, policies that include criteria of car free housing in evaluation for regional funding programs could support these goals. In addition to local policies to support unbundling in multi-family residential buildings as well as multi-employer office buildings, there are several regional actions that can be taken to increase the amount of unbundled parking. One potential policy is to require unbundling of parking in PDAs and/or TPAs within OBAG requirements, or as a condition of particular funds (station area plans, technical assistance, or other). Another is to include requirements for unbundling and other smart growth parking policies in the regional principles for reviewing projects in the Cap and Trade AHSC Program (in addition to current requirements). Last, a policy that allows carshare pods to replace required parking spaces could encourage additional mode options in place of private car ownership. Several academic and non-academic journals and newspapers have examined parking requirements and what happens when city’s or local planning agencies adopt policies that remove or strongly reduce minimum parking requirements. The following are supplemental articles from around the country of city’s and planning agencies doing just that. The intent is to make readers aware that these ideas are not as new as we might imagine, and that they are already being successfully implemented throughout the country. Michael Manville, Alex Beata, and Donald Shoup, “Turning Housing into Driving: Parking Requirements and Density in Los Angeles and New York,” Housing Policy Debate,Vol. 23, No. 2, 2013, pp. 350–375. Adam Millard-Ball (2005). Volume 108 of Report (Transit Cooperative Research Program). Transportation Research Board, 2005. Pages 5-24 to 5-27. “Direct Reports: No Parking”, Multifamily Executive Magazine, February 1, 2007; http://www.multifamilyexecutive.com/industry-news.asp?sectionID=539&arti…. Benjamin David and Tony Dutzik, Frontier Group (2012). Transportation and the New Generation: Why Young People Are Driving Less and What it means for transportation Policy. GreenTRIP Traffic Reduction Strategies, by TransFORM. From mapc.org: Steve Patterson, “Downtown Still Going Strong; Neighborhoods and Inner Suburbs Need Leadership”, Urban Review STL, November 20, 2006; http://www.urbanreviewstl.com/?p=2849. View PDF of the story by clicking here.